Pentax has introduced their new K-3 II camera, which features an impressive 24.35 effective megapixel AA Filter-less APS-C CMOS sensor, a high-performance 27-point auto-focus (AF) system, as well as an 8.3 fps of continuous shooting function. 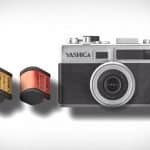 With its newly developed Pixel Shift Resolution System, this new camera can deliver more truthful color reproduction and finer details and significantly lower high-sensitivity noise levels. 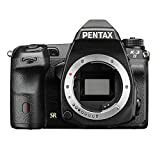 It also sports the company’s updated Real-time Scene Analysis System, which is supported by an 86K-pixel RGB light-metering sensor, making it the most responsive subject-tracking of all DSLRs from Pentax. 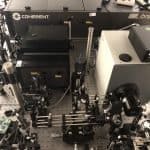 Aside from this, you will be able to get more effective camera-shake compensation of up to 4.5EV steps using its new high-precision gyro-sensor. Also, this camera is built with a newly integrated GPS and Electronic Compass that can extend the range of your shooting journeys. It also sports a built-in ASTROTRACER function that eliminates the need of extra accessory to capture celestial objects, such as stars. Built with a weather-resistant and dust-proof magnesium alloy body, you can keep shooting with the K-3 II in the most extreme weather conditions and surroundings. With this new camera, you will never miss the perfect shot with its incredibly fast frame rate of 8.3 fps for demanding high-performance shooting and extreme action capture. When used with the new Pentax lenses, the K-3 II’s focus speed is even faster since these lenses’ activation method is optimized to eliminate redundant movements at the last moments of the fine adjustment step. Designed for the most demanding photographers, the K-3 II sports a 24.35 effective megapixel AA Filter-less APS-C sized CMOS sensor that allows for outstanding image quality. With its Prime III image-processing engine, you can assures high-quality image output of up to ISO 51200. Because the K-3 II is built with GPS module, you can extend the range of your photo-shooting expeditions. You can use its electronic compass to find your way, while the GPS Log will let you keep track of your journeys. For the ASTROTRACER feature, you can use it to capture celestial objects, such as planets, nebulas and stars, without needing an extra accessory. 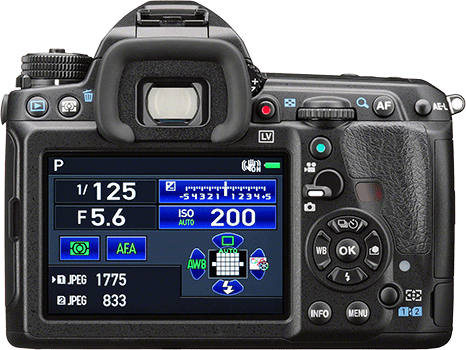 It also has the Pentax Flucard to let you connect with your smartphone, enjoy wireless image browsing and live viewing, and operate functions, such as tough operation for AF point, shutter release and exposure settings. The SAFOX 11 AF module maximizes 27 AF sensors and a vast light sensitivity range of –3EV to +18EV for the K-3 II and includes 25 cross sensors and 3 AF sensors that are designed to detect the light flux of an F2.8 lens. This means that it will be easy for you to obtain pinpoint focus on any subject when using a large-aperture lens. The expanded AF area also allows for more accurate focusing even on moving subjects. For added durability, this new camera is integrated with a large, easy-to-view, 3.2-inch high-resolution LCD monitor with approximately 1,037,000 dots in a 3:2 aspect ratio, featuring a protective tempered-glass front panel. The unique air-gapless construction will effectively reduce the dispersion and reflection of light to improve visibility when shooting outdoors. 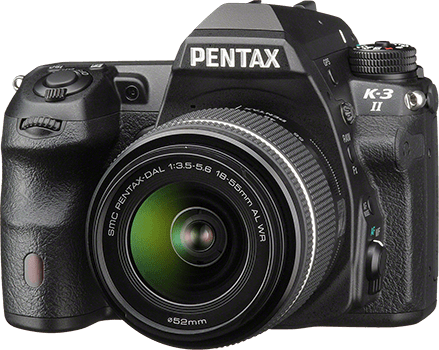 With its state-of-the-art AF algorithm combined with the advanced Pentax Real-Time Scene Analysis System, the K-3 II has the most responsive subject tracking in all DSLRs from the company. With these features, you can enjoy improved AF tracking performance in AF Continuous mode, while getting an extra-wide measurable luminance range from –3EV to +18EV. The camera’s improved in-body shake reduction (SR) mechanism also effectively compensates for camera shake up to 4.5EV steps, regardless of what type of lens you use. This feature captures 4 images of the same scene by shifting the image sensor by a single pixel for the images and then synthesizing all 4 into one composite image, resulting in exceptional detail and true-to-life colors. This is achieved as the system obtains full RGB information from every pixel. With these features, you can experience magnification at approximately 0.95x. The K-3 II lets you enjoy full HD movie captures in the h.264 format (1920×1080 pixels; 60i/30p), with an interval movie mode capturing a series of 4K-resolution movie clips at a fixed interval. 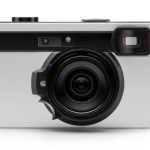 Plus, it has 92 seals, which make it fully weather and cold-proof camera that resists snow, water, fog, dust and sand for excellent performance in extreme field conditions. Pentax Remote Control F – This allows for wireless shutter release control through infrared signal and easily fits into the D-BG2 battery grip, which make this accessory an ideal travelling companion for compatible cameras. Rechargeable Li-Ion Battery D-LI109 – Replacement battery for Pentax products use the D-LI109. However, you should still check the product’s documentation for compatibility information. The Pentax K-3 II is a follow-up to the K-3, with a mid-term update coming with some very important improvements. It retains the same weather-sealed, magnesium-alloy body as its predecessor, as well as complete with the same great ergonomics and accessory grip compatibility. 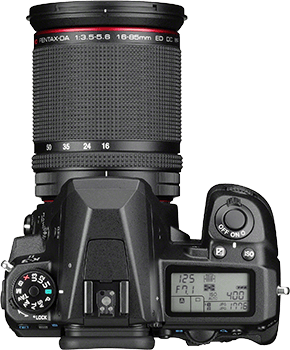 What is really new in the K-3 II, which is very obvious, is it is with a taller viewfinder hump, giving it a look that is somewhat reminiscent of that in Ricoh’s mock-up of the upcoming full-frame Pentax DSLR, though the still has more of a flat top than that of the full-frame model. 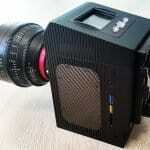 This camera is highly recommended for avid photographers out there. LCD Monitor Type: 3.2” TFT color LCD with brightness/saturation/color adjustment AR coating and air-gapless glass. Capture Modes Mode selection: Green, Hyper Program (P), Sensitivity Priority (Sv), Shutter Priority (Tv), Aperture Priority (Av), Shutter & Aperture Priority (TAv), Metered Manual, Bulb, X-Speed, USER (3 presets). Playback Modes Mode selection: Single frame, multi-image display (6,12, 20, 35, 80 segmentation), display magnification (up to 16, 100% display and quick magnification available), rotating, histogram (Y histogram, RGB histogram), bright area warning, Auto Image Rotation, detailed info, Copyright Information (Photographer, Copyright holder), Folder Display, Calendar Filmstrip Display, Slide Show Mode pallet: Image Rotation, Digital Filter, Resize, Cropping, Slideshow, Save as Manual WB, RAW Development, Index Print, Protect, Movie Edit, Extract JPG from Movie, Magnification: up to 16X, scrollable, quick magnification. Computer Requirements *For device connectivity. Bundled software requirements may vary.